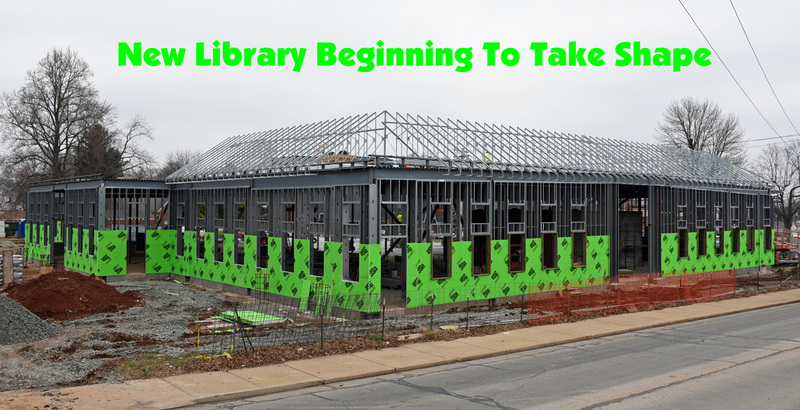 December 11-- During the past week motorist driving on Liberty St. at North A St. have noticed the major changes taking place on the new city library building which is under construction. The superstructure of the roof is being formed up, while on the ground more changes are underway. Yesterday morning concrete was poured on a large part of the floor, which proved to be more than a 24-hour project. As soon as concrete was in place, workers began shaping it up, which continued until the mid-afternoon. Then workers began polishing the surface, which continued during most of the night and was not completed until mid-afternoon today. This new surface now appears to be as smooth as glass.